CLAS inspectors are the first in the world to have implemented quality certification procedures for breakwater construction using TETRAPODE, ACCROPODE ™, ACCROPODE ™ II, ECOPODE ™, CORELOC™, and X-bloc ® technologies. From 2000 at the service of the courts of France, then from 2008 for the industry. Our unique experience and know-how has led us to be very strict in applying the inspection procedures that lead to the quality certification and approval of a armour using TETRAPODE, ACCROPODE ™, ACCROPODE ™ II, ECOPODE ™, CORELOC ™, and X-bloc ®. Today, we see approved armours based on technologies that are not working satisfactorily to show nonconformities. The TECHNICAL INFORMATION DOCUMENT issued by Concrete Layer Innovation for the ACCROPODE ™, ACCROPODE ™ II, CORELOC ™ and ECOPODE ™ contracts. The document entitled: SPECIFICATIONS FOR THE USE OF XBLOC issued by delta Marine Consultants for X-bloc ® contracts. CLAS accredited inspectors have proven field experience. They received additional training in the inspection. They know how to advise the company to determine and implement the best construction and repair procedures. Our inspectors are recruited on site because of their good understanding of TETRAPODE, ACCROPODE ™, ACCROPODE ™ II, ECOPODE ™, CORELOC ™ and X-bloc ® technologies. They receive at CLAS training complementary to the specific inspection on these blocks and the validation procedures of the work. Our inspectors are not related to the companies involved in the projects implementing the technologies TETRAPODE, ACCROPODE ™ II, ECOPODE ™, CORELOC ™ and X-bloc ® and the tools of assistance to the placement or to the validation supposed as POSIBLOC ™, ECHOSCOPE® or other of which we do the evaluation. Our services are aimed at companies that want to offer their customers the highest level of excellence. These companies are committed to our impartiality. The lack of rigor and impartiality are causes of withdrawal of the accreditation of an inspector. Some of the projects we intervened on are covered by military or industrial secrecy. We do not communicate about these projects, not even for our own advertising. 5 Maintenance of skills and knowledge. An inspector loses accreditation after three months of inactivity. To find an accreditation he must follow a training course accompanied by a "senior inspector" in activity. This training is given in practice at the start of a new project, by a presence on the site of the senior inspector and the inspector in training. Senior out-of-service inspectors are required to inspect TETRAPODE, ACCROPODE ™, ACCROPODE ™ II or X-bloc® at least once every three months. These inspections are carried out as part of the collection of information that we practice on old structures and as part of classification A, B and C of breakwater armours, using the TETRAPODE, ACCROPODE ™, ACCROPODE ™ II, ECOPODE ™, CORELOC ™ and X-Bloc ®. The inspectors who benefit from it are rigorously selected, trained and supervised. The tools for installation assistance and the tools proposed for inspections are evaluated in the context of the project. We do not validate them on the sole basis of advertising by vendors or engineers who are not specialized inspectors. We implement the highest level of requirement and quality and the affixing of this brand on our inspection report is the guarantee that this level of exclusive quality is implemented on your project in an independent and impartial way. The classification A, B and C of the breakwater armors using the one layer technology and the CLAS TECHNOLOGY COMPLIANT ™ trademark are protected by national laws and international conventions governing intellectual property. Consequently, any use of this classification and the CLAS TECHNOLOGY COMPLIANT ™ mark is strictly prohibited, except with the written permission of CLAS (CLAS, Prat de Baix d'Envalira, AD100, Canillo, ANDORRA). We invite you to report any use that seems suspicious to verify the authenticity. 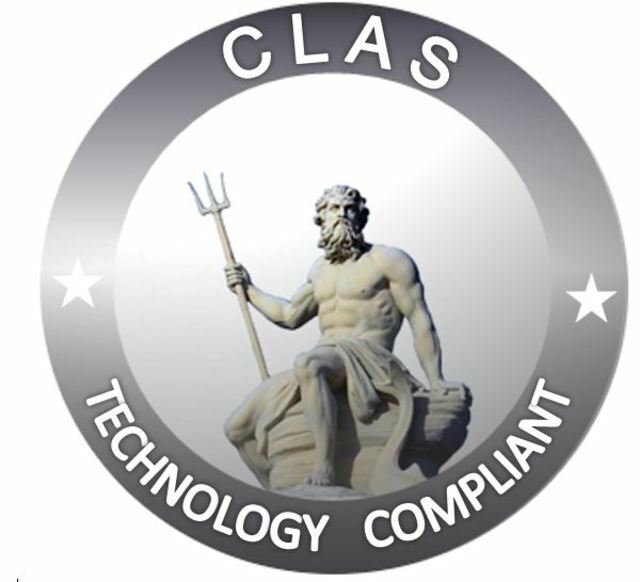 CLAS disclaims all liability for the unauthorized use of its classification and mark; such unauthorized use may be particularly perilous (error in the compliance of the work, in particular), in addition to the risk of counterfeiting and unfair competition to which unauthorized users may be exposed. © CLAS - 01 March 2017.